This is just a Small part of the PFI Problem, Legally we must stop PFI, as soon as the building is useless, For any reason, Plus on ALL othe PFI Buildings, as soon as the Operator has got their money back, say 4 years, And made a 50% profit, They should be give one more paymentr, And made to hand the project, Building, Hospital, School, over to the Government. As for Bailing out Companies like Carrillion, Tough, If they skimped on the building in the first place, Thats their loss. Dozens of empty or demolished schools will reportedly cost taxpayers £100million in the next two decades as local authorities are left saddled with the lease of the buildings from private companies. The schools were built under the controversial Private Finance Initiative (PFI) scheme where private firms paid for the buildings and leased them back to the government for up to 40 years. The Labour government rolled out the programme which has since been shelved in 1997, to boost public spending without tapping into the Treasury for funds. But dozens of the premises have since closed down due to falling pupil numbers, poor performance or structural flaws – yet local authorities must pay for the leases until the end of the contracts. 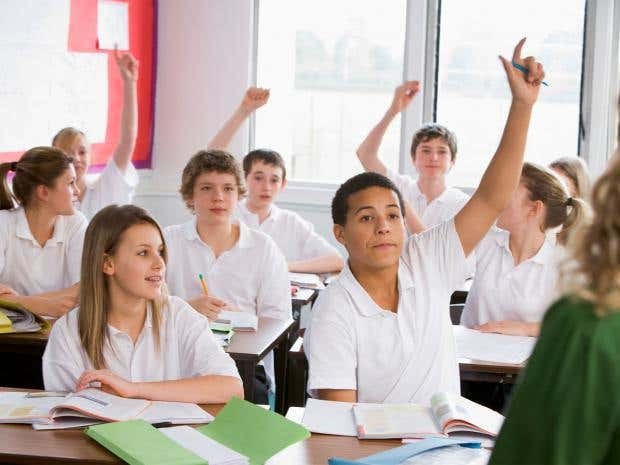 Last year, the emergency closure of 17 PFI-funded schools in Scotland, due to structural defects, prompted MP Steven Paterson to call for a debate after calling the scheme a “great swindle”. Fresh data turned up today after a Freedom of Information request to 171 local councils in England, Northern Ireland and Wales by The Sunday Telegraph shows the spiralling cost of PFI debts. Parklands High School in Liverpool closed down in 2014, having previously been put into special measures. The building is empty but Liverpool City Council – which is desperately trying to find a buyer – still has £58.9million left to pay off by 2028. Joe Anderson, the Liverpool mayor, has called it “the most expensive PFI school in history”. South Bank Primary in Middlesbrough opened in 2006 but was demolished six years later after workers discovered that the majority of its foundations had been built on “defective fill material. PFI contractor Carillion is funding the rebuild, but annual payments under the 30-year contract – which is for five schools and will total roughly £208.9 million – must continue while there is no building. Bishops Park school in Essex closed down four years after opening, with £2 million left to pay up to 2036. This year, repayments for all PFI schools will totally roughly £1.7 billion, or about £4.6 million every day.